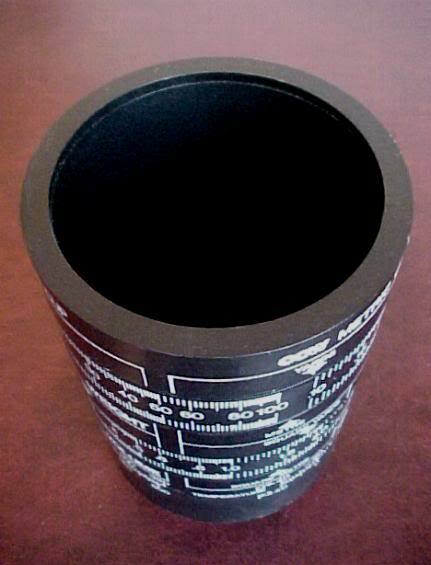 The Jorgenson Metric Coversion Rule is essentially a pencil cup that can convert from Metric to English units. It has 3 rings on it 2 of which can be spun and the third, which is used for temperature, is rigid and on the bottom. The remaining 2 rows are used to convert between English and SI units of length and weight (the top ring) and area and volume (the middle ring). 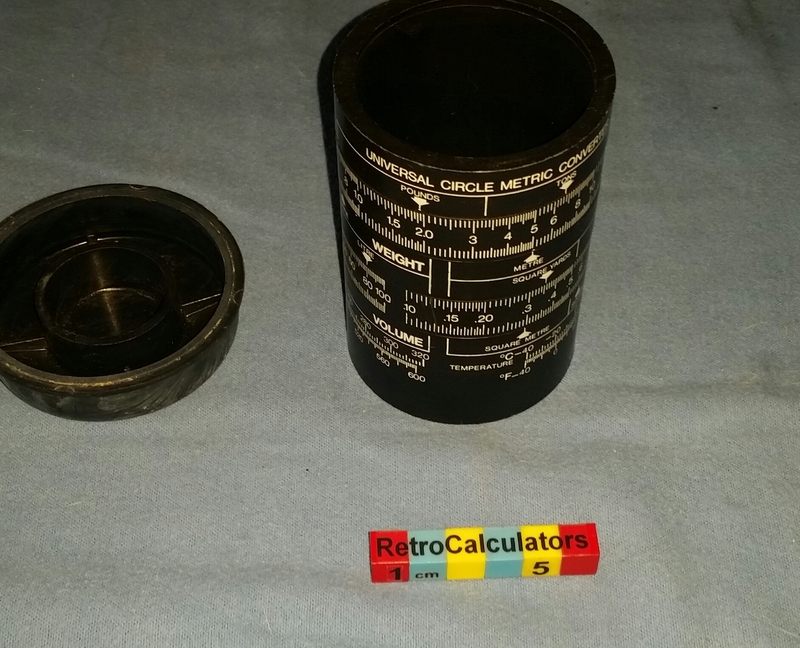 Ole Jorgenson Cylinder Slide Rule Source Ebay. 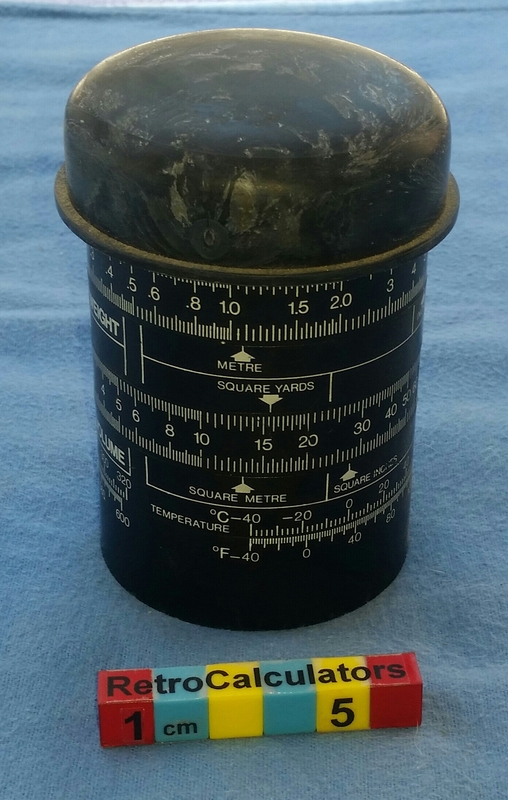 A similar pencil cup by Ole Jorgenson. For more on CCW Jorgenson rules visit this site.